Though we may not realize it, there is a lot of rabbit imagery in North American and European culture. Individual bunnies like Thumper from Bambi, Peter Rabbit, The Velveteen Rabbit, Rabbit from Winnie The Pooh, The White Rabbit from Alice in Wonderland, Judy Hopps from the film Zootopia, and the Easter Bunny make frequent appearances, but we also have things like the hare in the moon, sayings regarding rabbits, and Spain’s name, which came from travelers to Spain, who used the word “Hispania”, meaning, “Land of Rabbits”. 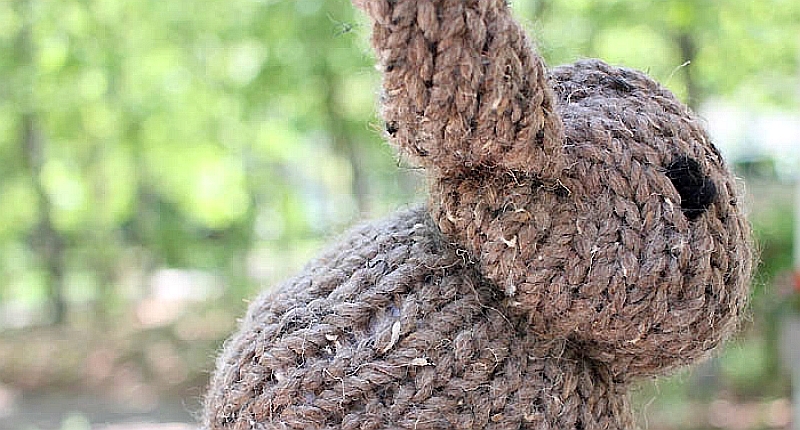 With all this rabbit imagery, it’s no wonder we’re so fond of the fluffy creatures. Many of us have had them as pets, enjoying their company and laughing at their antics. 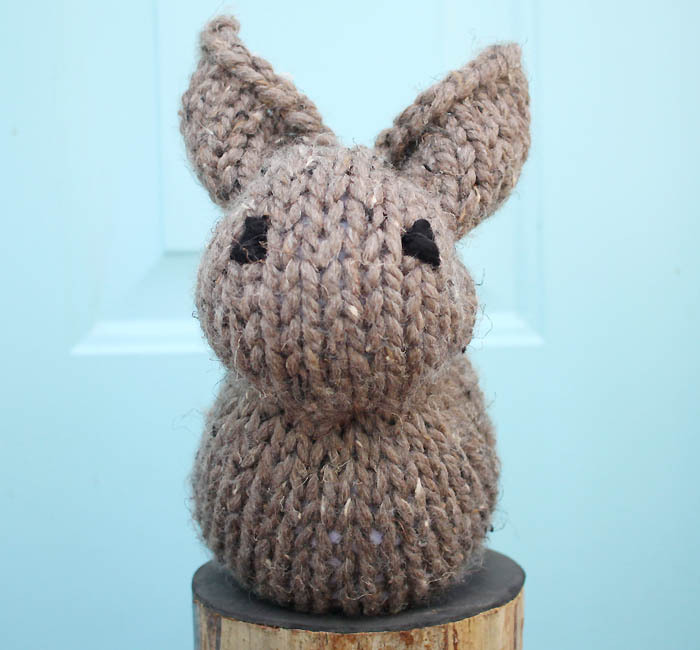 When you aren’t able to have live rabbits around, however, the next best thing is to make a plushie — which is where this beginner-friendly knitting pattern from Gina Michele comes in to play. 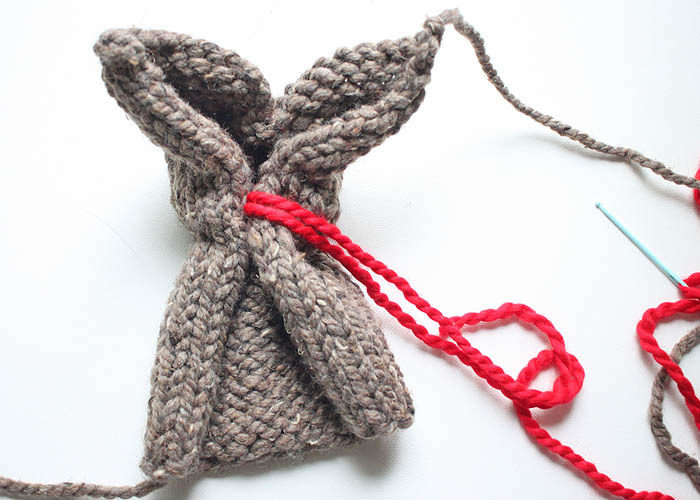 If you’ve been thinking about making your first plushie, this is a great project to start with because all you’re knitting is a simple square. It doesn’t take long, you can use any color you want, and the end result is always adorable. The free pattern also comes with several pictures to illustrate the process, a bonus for those of us who lean more toward learning with visuals. To make your own soft, sweet bunny, gather the following materials: Size 13 knitting needles, yarn (the pattern recommends using Lion Brand’s Wool Ease Thick & Quick in a brown shade, though of course you could use grey, white, or black as well), a yarn needle, scissors, fiber fill, and either a ready-made pom pom or the materials to make your own (there is a tutorial for using a pom-pom maker if you’d rather go that way). Once you’ve settled on a yarn color, be sure and pick complimentary colors for the eyes and nose, such as black and pink. 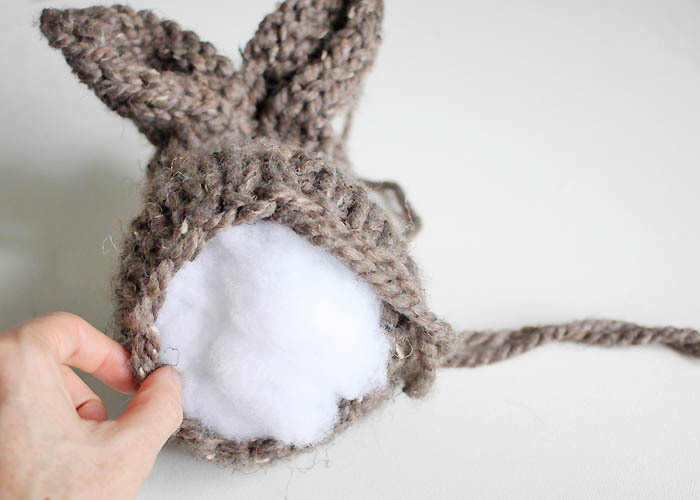 Of course, you don’t have to stick with “normal” colors for the bunny – you can use variegated yarn, pastel colors, or bold tones if you’d prefer. Gauge isn’t as important in this pattern, so don’t feel like you have to check your gauge prior to beginning. The only thing that needs to be done is to make sure the knit is tight enough that the fiber fill won’t poke out of the body and head. 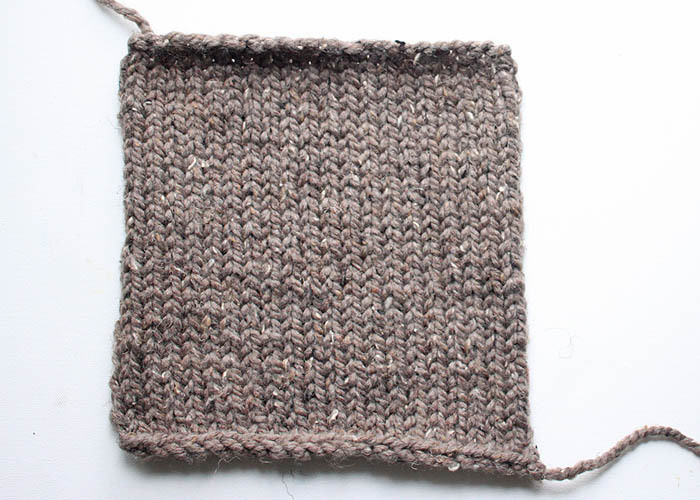 The square is knitted with 24 stitches by 24 rows, using the stockinette stitch, which means you will need to be able to cast on, knit, purl, and bind off. These should all be familiar to every level of knitter. After the square is done, there is a bit of sewing to do to shape the rabbit. 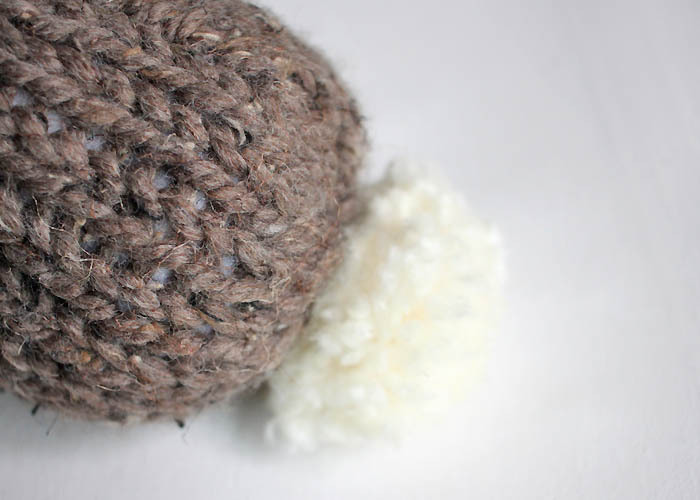 The head is stuffed first, then the body, and once it is all sewn up, the pom pom can be attached as the tail. After that, you can embroider in the eyes and nose, or leave the face blank.